One of the most important parts of any divorce is that of the equitable distribution of marital assets. According to New Jersey law, all marital property must be divided “equitably”, meaning in a fair manner but not necessarily equal. While there are many different types of assets which may be considered marital property, including owned businesses, retirement accounts, and even jointly owned debt, one of the most complex aspects of any division of assets agreement will be the division of owned properties such as homes, vacation homes, and other real estate properties. 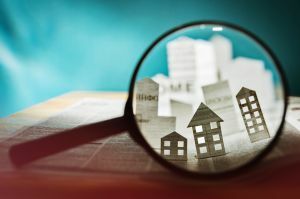 When a divorce involves the division of any kind of property, it will most likely become necessary to work with a real-estate appraiser in order to accurately determine the value of owned properties so that they can be then equitably divided. As mentioned, if any kind of home or property is determined to be a “marital asset”, it will most likely need to be appraised before it can be divided as part of the Marital Settlement Agreement. A spouse plans to “buy out” the property, meaning they will maintain ownership of the home or property in exchange for other assets and potentially even money as well. The divorcing couple is planning on selling the property – in order to ensure that both parties receive a fair portion of the proceeds from the sale of the property, it must be accurately valued beforehand. Additionally, it may even make sense to get an appraisal done on a home or property before even making a decision in regards to what to do with it during the divorce. By understanding what a property is worth, your Wall NJ equitable distribution lawyer will be able to make a much more informed recommendation to you in terms of what they think is best for you to do with your home or other property. Use a Similar Property – Conversely, it is also common to use the value of a similar home or property in order to approximate the value of your home. However, while free, this method can be risky due to many factors which will not be taken into account as they would during an actual appraisal. All this being said, it is important to remember that an appraisal will not factor in things such as taxes, fees, refinancing, etc. This again is another area in which your Monmouth County divorce lawyer can help you to understand the many implications and ramifications the sale (or not) of your property will have on your financial situation both in the short-term, and for years to come. At the Bronzino Law Firm, we have extensive experience securing accurate and fair equitable distribution agreements during divorce for our clients in towns across Ocean and Monmouth County, including Wall, Sea Girt, Brick, Toms River, Asbury Park, Neptune, Manasquan, Point Pleasant, Brielle, Jackson, and more. Attorney Peter J. Bronzino is uniquely suited to helping you value and divide your homes and properties during divorce due to his experience within real estate law. By listening closely to the unique needs, concerns, and situations of his clients, Peter Bronzino believes that he can best work to achieve the types of results that meet those same needs and concerns. To speak with Peter Bronzino and our legal team today in a free and confidential consultation regarding your divorce, the division of any kind of marital property, or any other family law matter such as child custody, child support, alimony, or a post-divorce modification or enforcement issue, please contact us online, or through either our Sea Girt, NJ office or our Brick, NJ office at (732) 812-3102.